Hello, Shooting Star is about hope, or despair from different point of view. Hope and despair often go side by side ain’t so? It actually fits well with the anime theme. 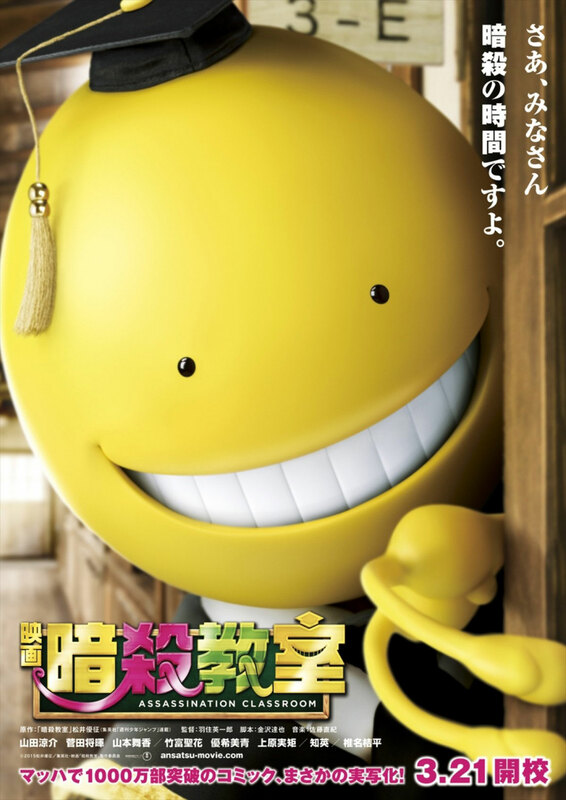 Assassination Classroom is a science fiction manga series by Yusei Matsui. Lerche Studio and Fuji TV adapted it into a two-season anime series in 2015-2016. The series follows the lives of a super-powered octopus-like teacher and his students who have to assassinate him to prevent total earth destruction. However, behind the big agenda are fun-filled and heart-warming stories of a teacher helping his students to overcome obstacles and face their uncertain future. The anime/manga became a pop culture phenomenon in Japan, with students dreaming of getting a teacher who’s as passionate and caring as the “octopus”.